It's been a while since I've been able to blog. My husband was overseas most of October, so I found it impossible to get much downtime to blog. Now that he's back I'm able to finally finish this post that has been sitting in my drafts folder for weeks! Back in September Adelaide hosted the closest thing that we'll get to IMATS... the Adelaide Hair & Make Up Show. Being the first event it was smaller than IMATS but they were able to bring some fantastic brands with them. Brands like Inglot, Crown Brush Australia, Besame Cosmetics, Inika, Bosa Beauty, Musq Natural Cosmetics and more. Now I didn't take any photos while I was there as I had my 7 month old strapped to me and it's difficult to take photos when her little hands are trying to grab the camera away from me, but click here to see the some photos. I have to say that the guys and girls at the stalls were AMAZING!!! They were so helpful and lovely. They were a wonderful representation for their brands/businesses. My favourite stand was the Girlee Cosmetics stand. They had so much stock and their stand was set up well, even when it was busy. Their staff were so friendly and helpful. They had enough staff on so you didn't need to wait long. They also had some amazing deals. Originally I was going to buy a brush egg until I saw their brush cleaning glove. 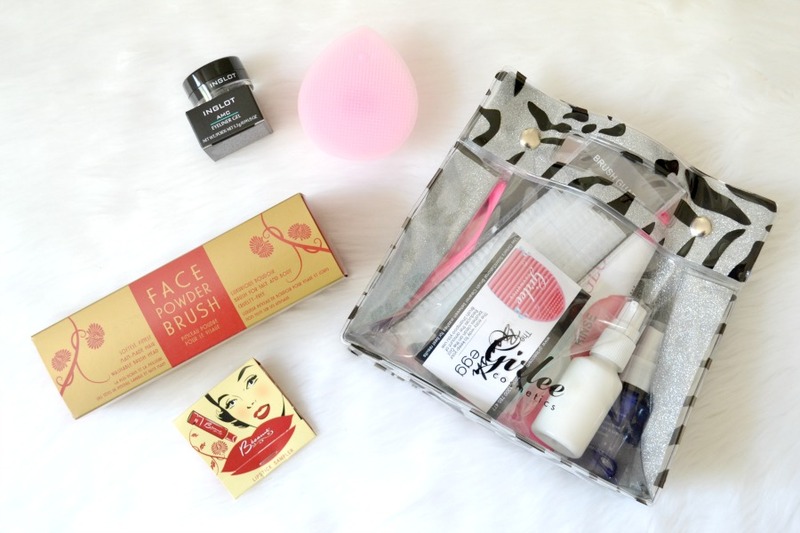 THEN I saw a pack that had the brush egg, glove, brush guards, a mini shampoo and a mini brush cleansing spray. It was only $20 so I picked one up. I LOVE the glove. I like the fact that both sides are different so I can use different size and shaped brushes. 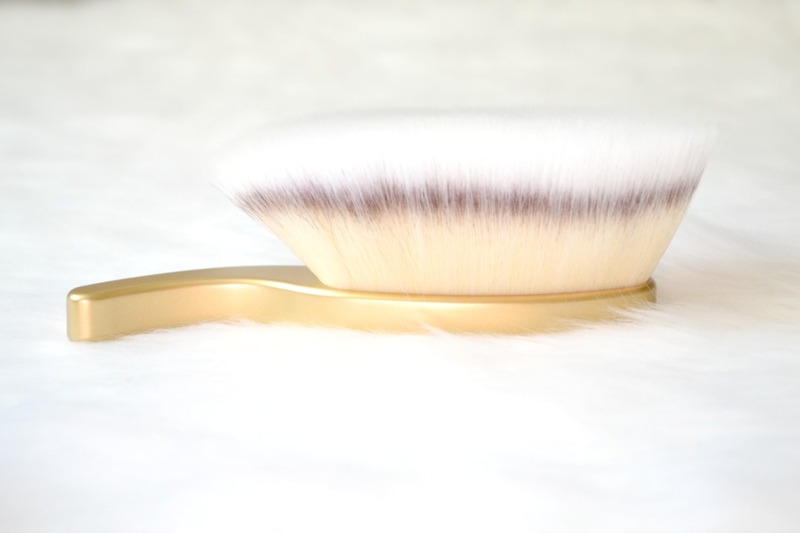 It halves my brush washing time and it's fantastic at removing foundation and cream products. 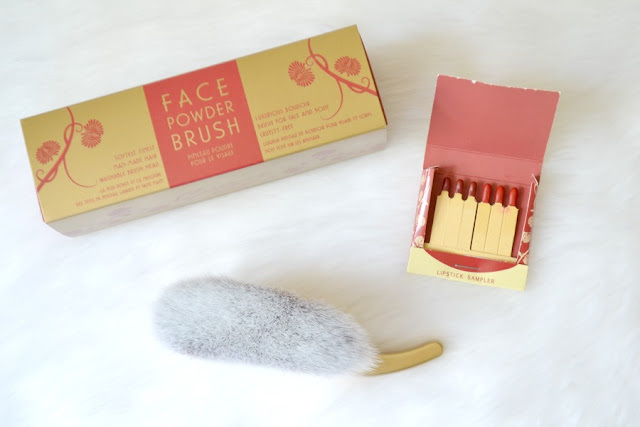 The brush egg is very cute and you can use it on both small and large brushes. This is a great tool to use when I only have a few brushes to wash, while the glove is good for a mass cleaning session. They also had this really odd looking silicone facial cleansing brush. It has a finger hole so you can't put a lot of pressure onto your skin. It's like a small self massaging brush. Next I went to the Besame Cosmetics Stand. I've heard so much about their products from fellow bloggers. Their lipsticks are so incredibly cute. I was really tempted to buy some but I need to go through my lipsticks and throw out old ones before I buy anymore. I did pick up their "Long Hair Finishing Powder Brush." It's made with synthetic hairs and is incredibly soft. It's amazing quality and if I didn't know better I would think that it was natural hair. I've been using this to apply my mineral foundation and it's so lovely to use. It looks like it would be awkward, but after a use or two it's very easy and quick to use. They also have a short hair version (with black hairs) that's for creams. Sadly it's not yet available here in Australia but Sephora US sells it. When you spent over a certain amount (I think that it was $50) you got this cute matchstick holder which contains samples of their lipsticks. It's such a genius sample! 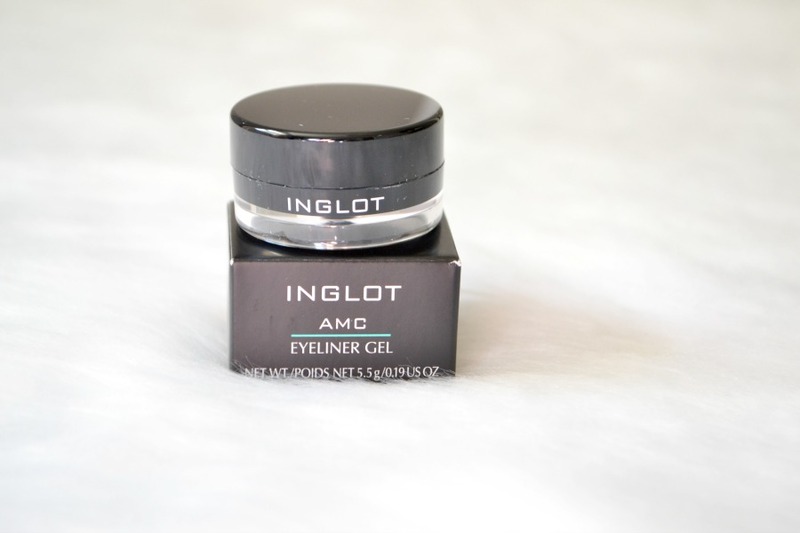 I was really tempted to buy a LOT of things from Inglot, but I just picked up their famous gel eyeliner. I've heard so many great things about this so I bought it to try and practice my eyeliner technique. I do wish that Rae Morris had a stand as I would have loved to pick up a brush or two to add to my collection. While it wasn't a huge haul, I'm really happy with everything that I bought. I hope that it was successful and will be back in 2016! There were some demonstrations and meet and greets with some Aussie youtubers, but I missed them as they didn't interest me. One thing that I sadly missed was some of the workshops that you could purchase tickets for. They had Rae Morris and hair magician Richard Kavanagh doing talks which I would have loved to see but I had to miss as Scarlett is my sidekick and I couldn't leave her at home. If you're in Adelaide did you attend? Are you heading to Sydney IMATS? What's on your wishlist? Eeeeeep i love besame i have a lipstick, gloss and lip liner from them and i love it! Had no idea where i can get them in aus, ill have to go to imats next time!